Volunteers having fun at the 2014 Clean Up. Moving debris at the 2014 Neighborhood Clean Up. 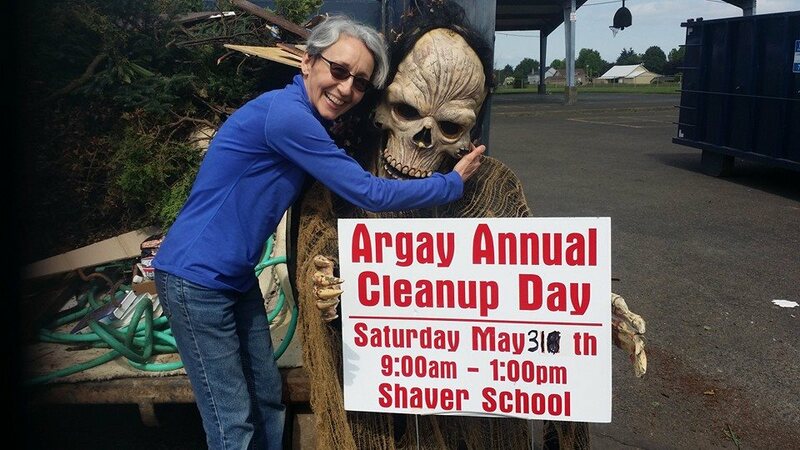 Jane found some spooky treasures at the clean up. Emptying the cars in the Shaver Elementary school parking lot.